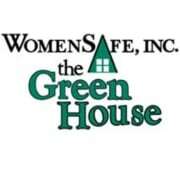 WomenSafe Inc. is a domestic violence shelter serving individuals and families throughout Northeast Ohio. Volunteers are needed to assist the Development Director with planning, organizing, marketing and hosting fundraising events to generate funds for the non-profit shelter. Do you enjoy hosting events? Are you great at decorating, designing or selling tickets? Do you have experience with marketing? Then this volunteer opportunity is for you! -Working the day of the event to register participants, run an activity, set up, tear down, etc. Training is provided and volunteers have the opportunity to make their own schedule. 5 More opportunities with WomenSafe, Inc.